Marie Curie discovered polonium and radium, isolated radioactive isotopes, came up with the Theory of Radioactivity, and was the first woman to win a Nobel Prize. 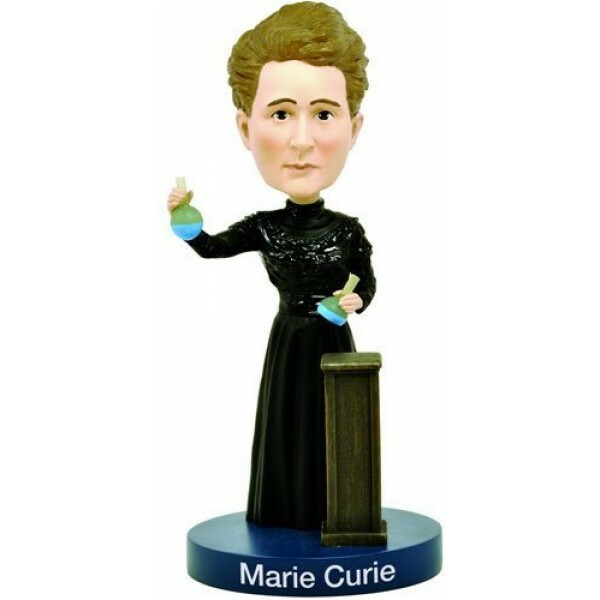 This bobblehead from Royal Bobbles is a great way to commemorate the incredible contributions Marie Curie made to science! The Marie Curie Bobblehead has glow in the dark beakers and measures 7.25 inches tall. It is hand-painted and comes complete with a printed collector's box. For more products featuring this trailblazing scientist, visit our Marie Curie Collection.